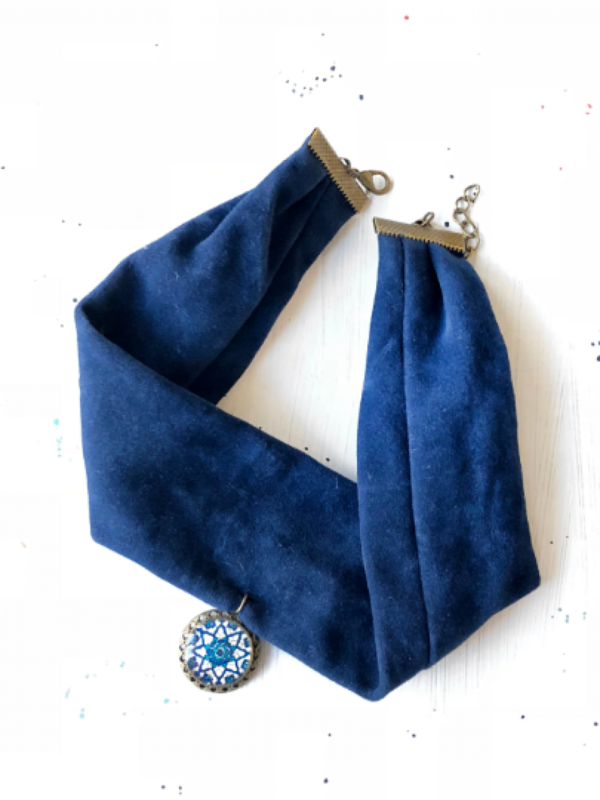 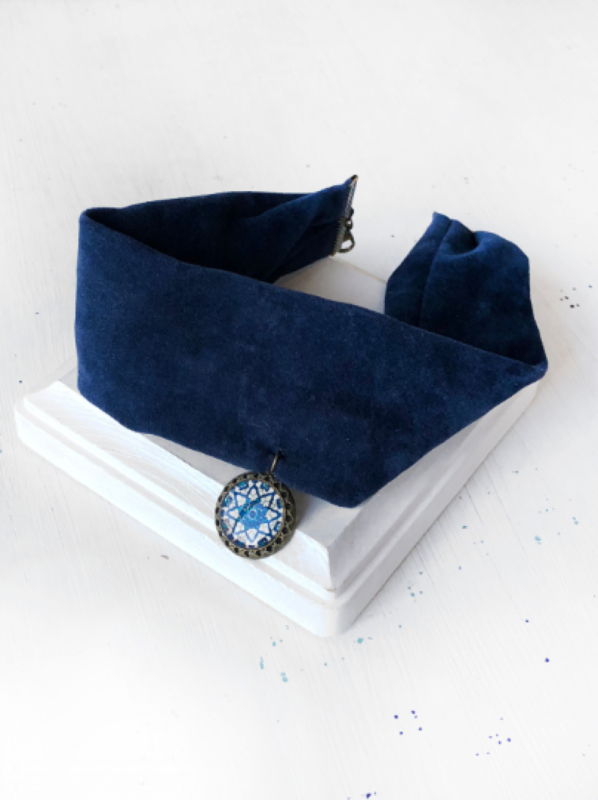 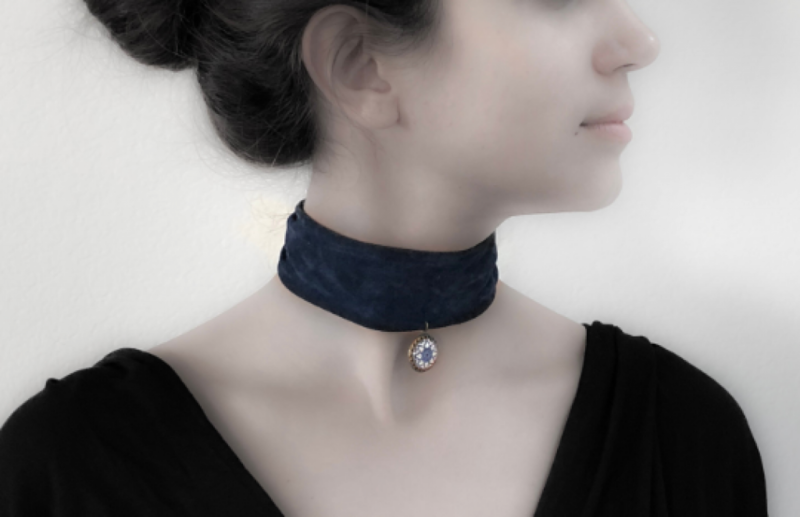 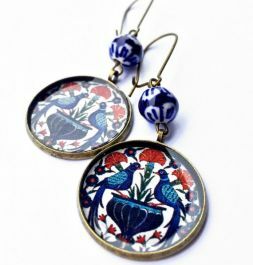 This simple, velvet navy blue choker features a round pendant that has an old Persian tile pattern and is coated with a layer of glassy resin. 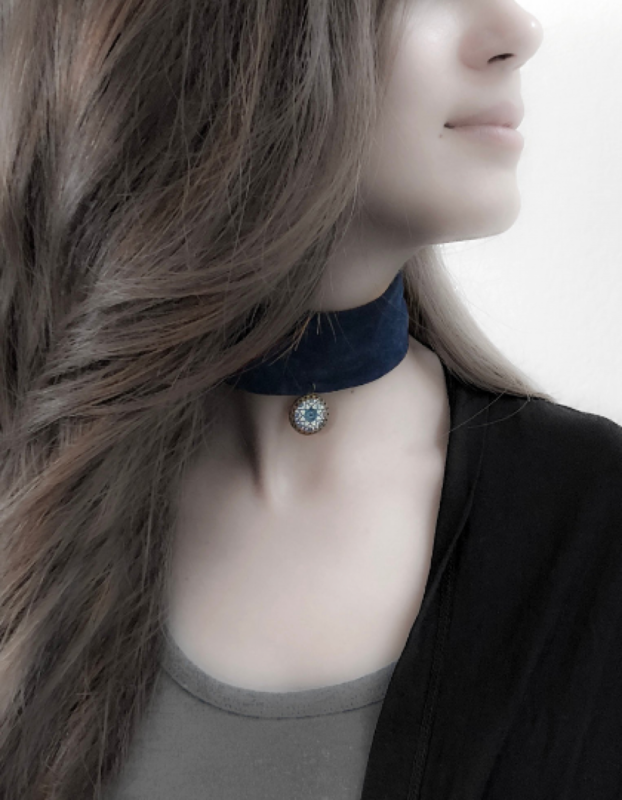 The choker band is 1 3/4 inches wide and the length of the choker band is 12 inches and includes a 2 inch brass chain extender attached for extra length up to 14 inches if necessary. 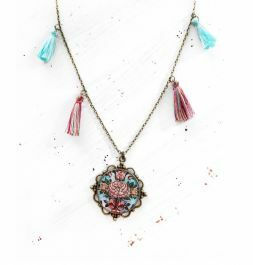 The pendant is in antique brass tone made of Zinc Alloy Metal (Lead & Nickel Free). 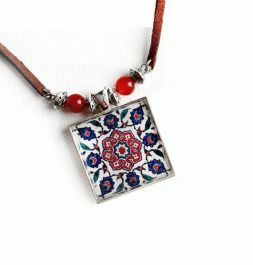 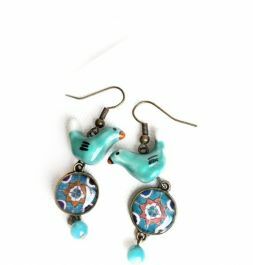 It measures about 3/4" H x 3/4" W. The result is a lightweight necklace that is perfect to wear in the everyday life.